It’s possible for one to travel all the way from Tanjong Pagar Station to Bangkok and beyond by train. There are two possible ways but through KL Sentral Station. The first way is to travel on a Keratapi Tanah Malaysia (KTM) night train service to Butterworth to connect with the State Railway of Thailand (SRT) express train #36 which starts at 1345 hours on the next day. This can be pretty inconvenient because we arrive in Butterworth at an unearthly hour of 0600 hours. There is also a morning KTM train service from KL Sentral to Butterworth but arrives an hour after the SKR train has left. The second alternative is to travel on the same KTM night train into Hatyai Junction arriving at about 1000 hours, and spending a half-day there before boarding SRT #36 or SRT #38. Both train services depart within 20 minutes of each other to Bangkok. 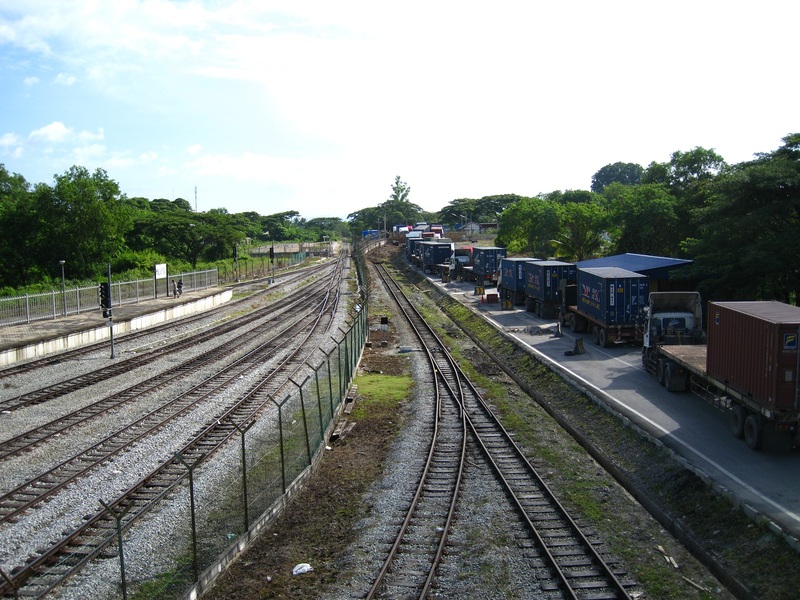 Both KTM and SRT trains pass through the border town of Padang Besar, Perlis. The Malaysian side of Padang Besar is simply Padang Besar but the Thai side is Padang Bazar or Pekan Siam. Photo 1: (Above) A view of the single train track crosses the international border in the distance. The container trucks are heading in the direction of Pekan Siam after clearing Malaysian CIQ. 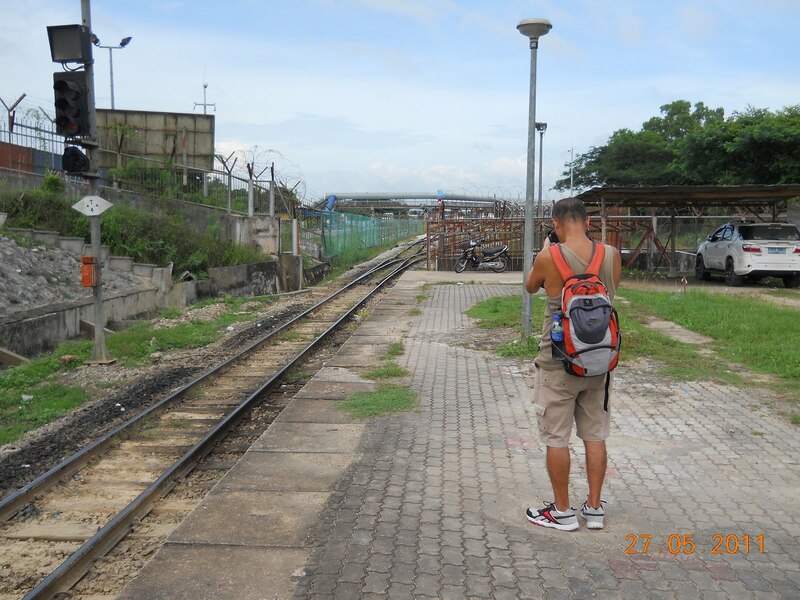 (Below) I am standing facing Malaysian territory on the Thai side of Padang Besar. Notice the single train track. This narrow passage is frequently used by Thais without passports to enter Malaysia. It appears authorities on both sides of the border are familiar with people using this access. That day I encountered a family of four adults and six children when I was at the spot. Maybe I should think of walking back into Malaysia this way. 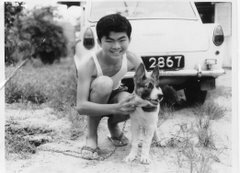 I did the first train ride from Singapore into Bangkok in 1971 (link). Today, I toggle between trains, planes, buses and “motosikals” to get across the border but I certainly won’t do what we did in 1974 (link). I doubt I have the courage and a pair of strong legs. Anyway the cost for a “motosikal” and bus journey into Hatyai Junction from Padang Besar is RM3 and 40 Baht respectively. 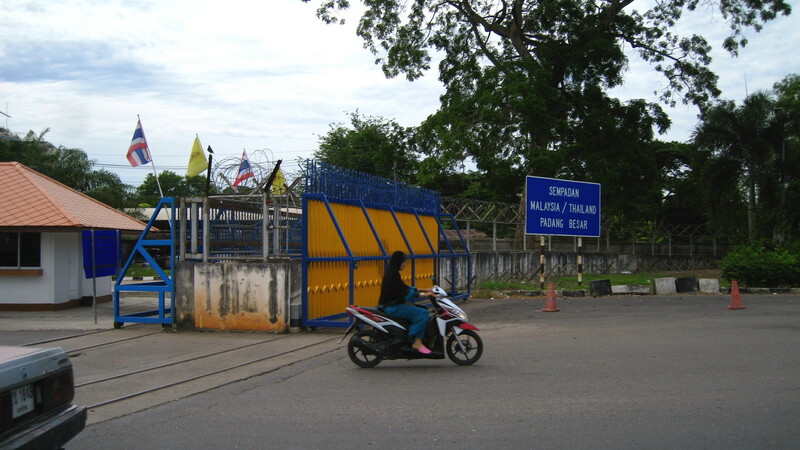 The border between Thailand and Malaysia over in Padang Besar is not quite of the same alignment as it was. In 2006, Malaysia and Thailand concluded a new border agreement whereby land of equal area (approx. 2,200 m2) was exchanged. A new security fence and wall was erected at the same time. The result is the Tokong Buddha Temple is now inside Thailand and parts of the border-road after the Malaysia CIQ to the guard-house is now Malaysian. People who were previously Malaysians and still living in properties beside the Tokong Buddha Temple are now classified as Thai citizens. Having spoken to those people, I still cannot get over the anomaly. Photo 4: If you prefer to cross the border the conventional way by train, this will be the daily scene at Padang Besar Station. 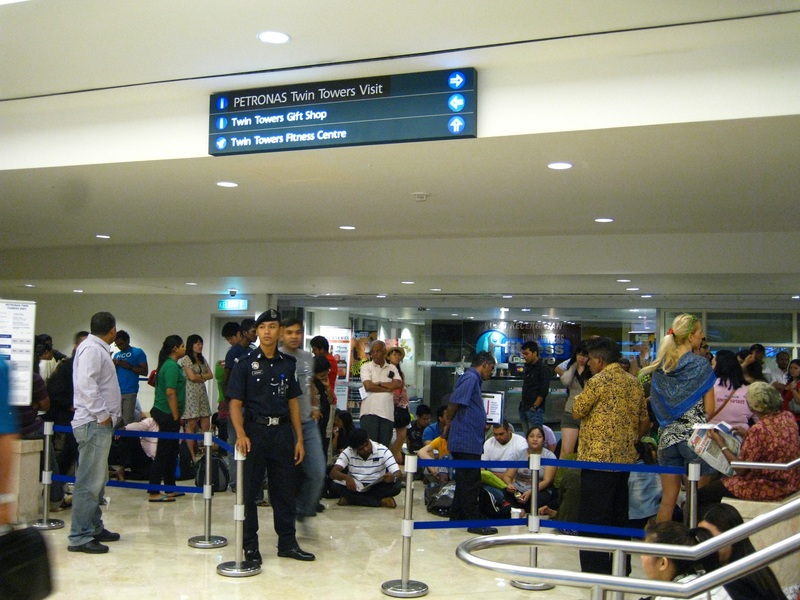 Passengers alight and walk into the building which houses the Malaysian and Thai CIQ. After clearing Thai CIQ, and boarding the train again, you are already on Thai territory and the next stop is Hatyai Junction. 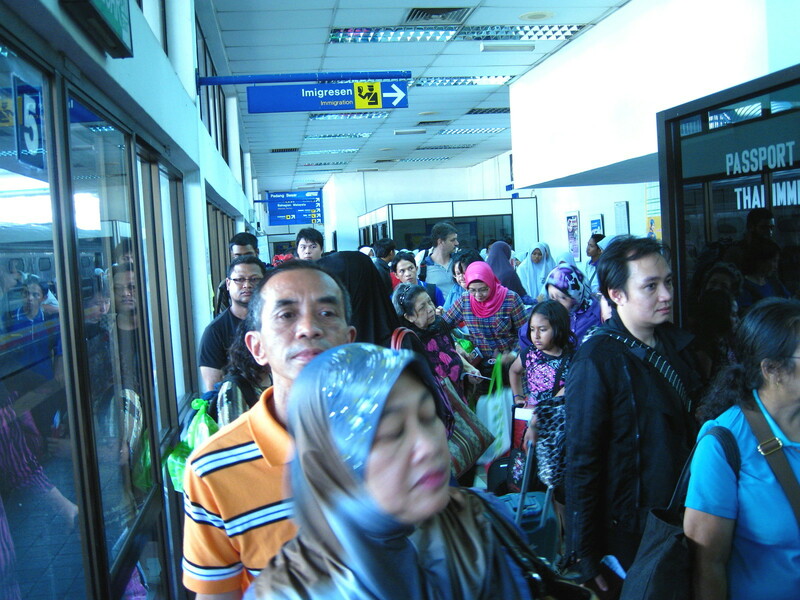 Conversely, it is the same for trains departing Hatyai for KL Sentral Station. So which way will you go mate? After reading my January 2006 article of my memories of Gillman Camp at Yesterday.sg, reader Chia Keng Wah posted a lengthy comment sharing his own memories of what was then called Gillman Barracks. Since many of my readers are unlikely to have seen his comments, I have posted them here as a separate article for your enjoyment. Thanks Keng Wah. 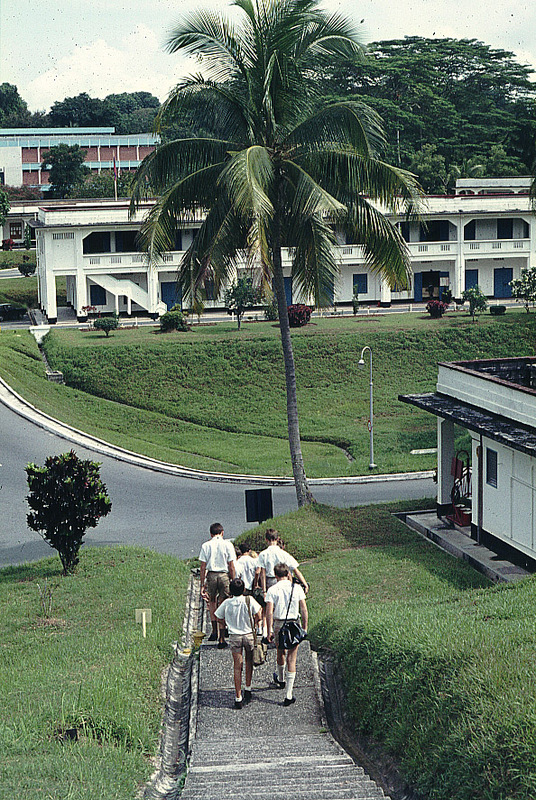 I would like to add my recollection of Gillman Barracks. 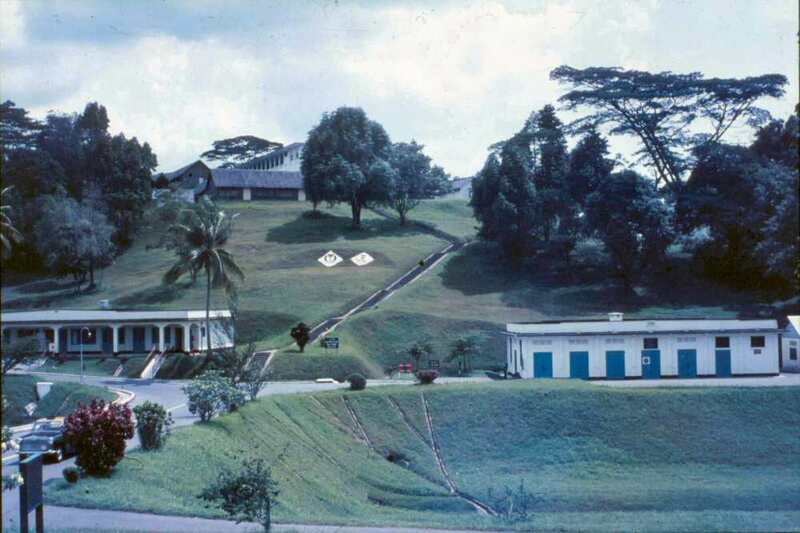 I was stationed in Gillman Barracks after three years training as a boy soldier in the Army Boys Trade School in the Far East Training Centre, Nee Soon Barracks (January 1962 to June 1964) and at the Royal School of Military Engineering in Chatham, England June 1964 to November 1964). After the three years training I was posted to Gillman Barracks in January 1965 till it's closure as a Royal Engineers Barracks in 1971. That was the year when the British Army pulled out completely from Singapore and Malaysia. My unit, known as the Singapore Engineers Squadron was among one of the six squadrons that made up the Engineer Base Group for the British Army in Singapore. By the way, the Royal Engineers name their units as Squadron from military traditions rather than as Company as in other infantry units. Our squadron had only two Troops (platoons), one being the Plant and the other the Field Troop, commanded by an OC with a Major rank. The Plant Troop (this Troop was later commanded by then Cpt Cheah who later joined the SAF Engineers) had the earth moving equipments for roads and airfield construction while the Field Troop did the bridging and other field constructions. Our squadron office is the first building on the left as you enter Gillman Barracks. It is that building behind the red umbrella in the photo posted by Lam. The building is still there after all those years that it was used as a Pub. 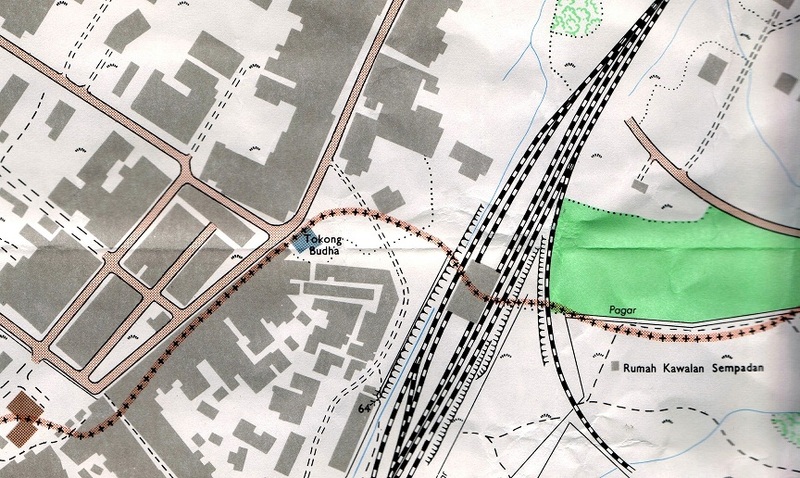 Further along the entrance road was the Base HQ where the Commandant (a Full Colonel) had his office. Also in the same office block we had the no nonsense, RSM. For entertainment in those days we had the Regal Cinema managed by the Army Kinema Corporation popularly called the AKC which screened shows twice nightly except Tuesdays. That building is still standing to this day. It was last used as an Italian restaurant till the Gillman Village ceased operation in early 2011. That building you can also see in Lam's photo. That photo posted by Lam as the officer's mess was used as our WO and Sgt's mess. 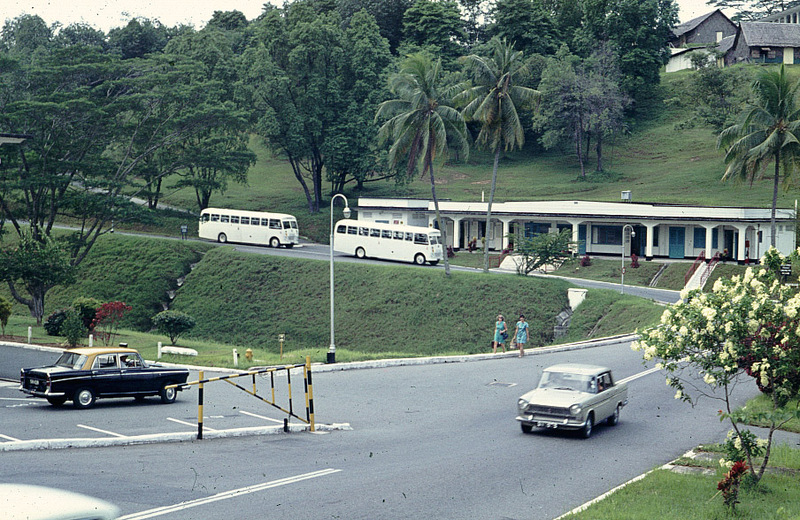 The RE Officer's mess then was across Alexandra Road where the HortPark is. It was converted into the Institute of Dental Health till the late 1990s or early 2000s which after that was being used as the Jain Institute after the Institute of Dental Health moved to its new home at the Sepoy Lines beside the SGH. I suppose it was from there that those Dental Nurses went swimming on Thursday afternoon? 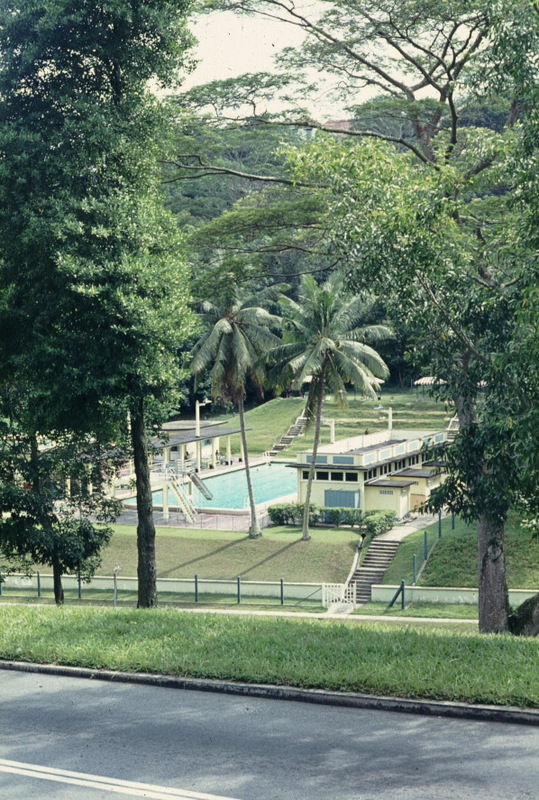 Lam was correct about the swimming Pool in the valley between the then our WO and Sgt's Mess and our accommodation blocks. It was packed with swimmers every afternoon during those days in the sixties. The Brits were as now, sun worshippers and there was more sun tanning rather than swimming! As a small Squadron, we carried out many small scale development projects for Singapore during our existence between 1965 till 1971. Just to mention a few: we built the Sarimbun Scout Camp; cleared the land on which the NUH and ITE at Ayer Rajah now stands. We had two powerful tractors with Rolls Royce engines and four smaller powered Fowler dozers to do the job over a year in 1965. Other major projects we did was the Runway improvement for the FPDA exercise up at Trengganu state in 1967 and an access road at the then Jungle Warfare School (JWS) in Ulu Tiram, just before Kota Tinggi in 1968. We would commute to and from the JWS daily. 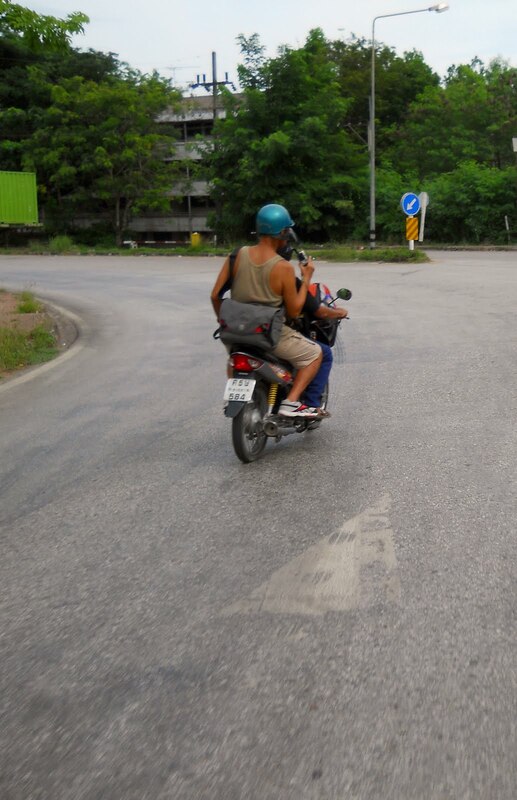 One good thing was that the traffic in those days was much lighter than now in 2011. Now that all those accommodation blocks have been demolished, I wonder what will be built in their place. There were eight accommodation blocks on top of the hill next to the Hiap Guan San cemetery. One of the blocks was occupied by the Royal Military Police in Block A, while another was occupied by Bourne School in Block B. Of course we had an other ranks' club known as the NAAFI in Block E. That was the place for beers in the evenings. There was Local Married Quarters behind the Gymnasium on Maran Road. Together with other buildings on the hill these were also being demolished, I suppose after the HQSCE pulled out those buildings were of no use anymore. One more mention, that Brazil Restaurant that stood on a small hill between our Squadron office and the Commandant's office was our Guardroom in which I spent six months - as Provost Corporal of course. I ended ten years of service in the British Army in total from 1962 to 1971 and now live just next door in Telok Blangah Heights. It will always be part of my life I suppose. 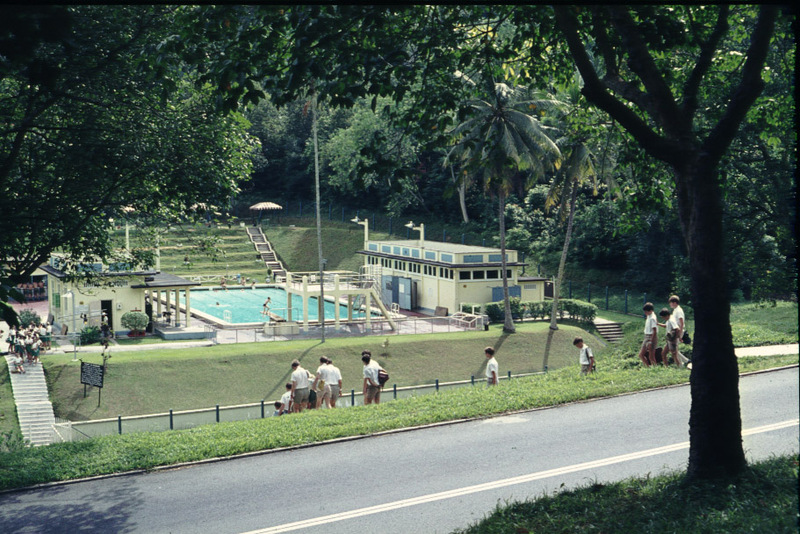 Below are some old photos of Gillman Barracks from Memories of Singapore courtesy of Tom O’Brien. Before July 1, 2011, one could board a train at Tanjong Pagar Station, Singapore and ended at the foot of PETRONAS TWIN TOWERS, Kuala Lumpur, Malaysia. How was it possible? 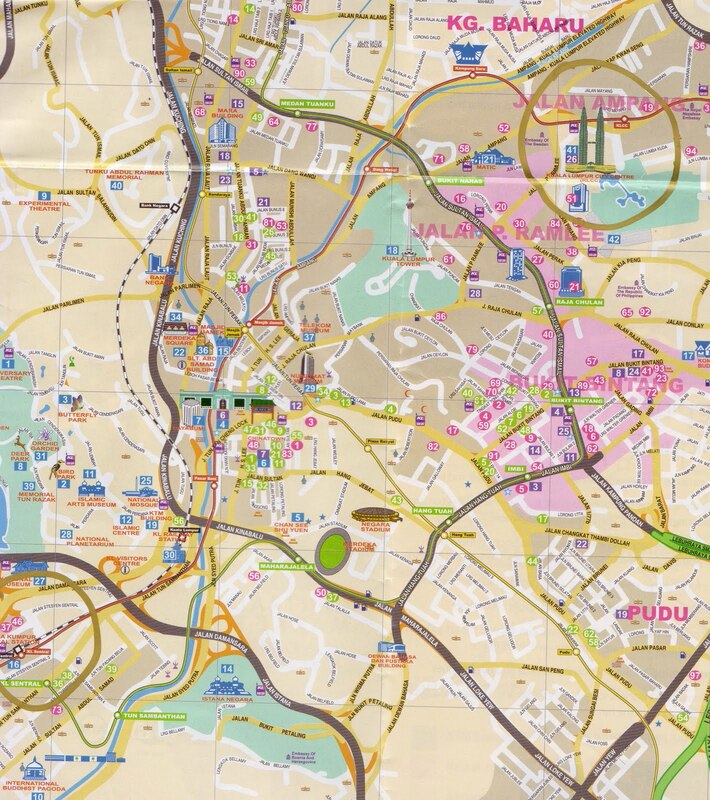 Fig 1: Routing from KL Sentral Station to KLCC Station on a map. 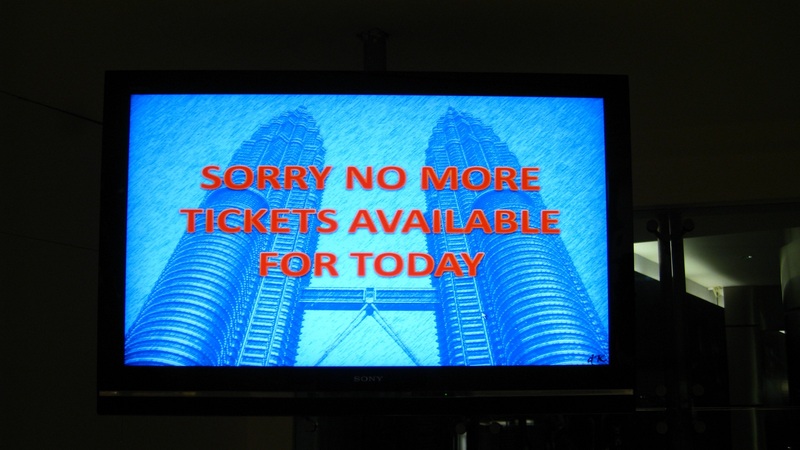 All north-bound train services from Singapore terminated at the Kuala Lumpur (KL) Sentral Station. KL Sentral Station sits proudly on the old Brickfields area where KTM (and its predecessor, the Malayan Railways) maintained their cargo centre. I am familiar with this area because I spent some parts of my school holidays with a Malaysian friend who lived in Jalan Scotts. The old Brickfields area was populated by the Indian community and still is. Photo 1: KL Sentral Station. Upon arrival at KL Sentral Station, you walked over to the KL Rapid ticking booth to make a purchase and then walked past the turnstile up one level. Everything was conducted within the same air-conditioned building. KL Rapid is one of the KL’s metro mass rapid transport systems. 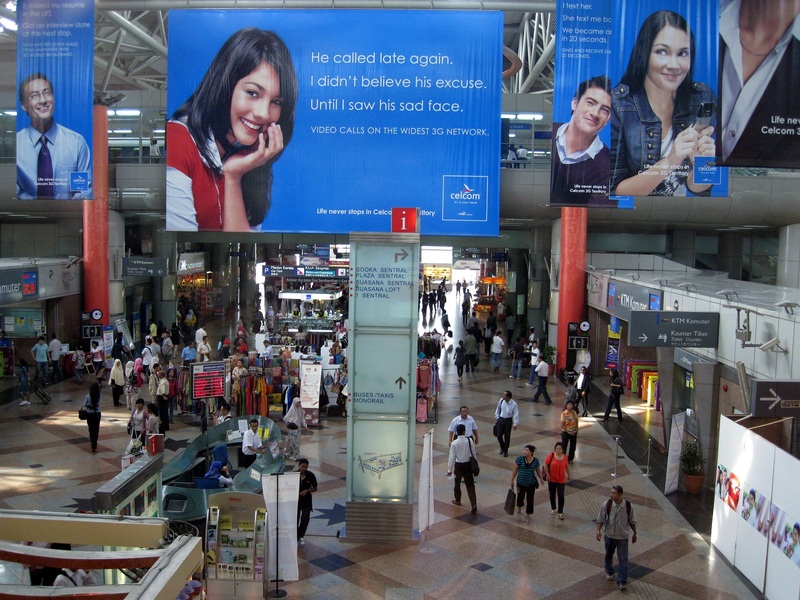 KLCC Station is the basement station under PETRONAS TWIN TOWERS and its huge shopping mall. There are direction signboards that point the way to the SKYBRIDGE Visit Centre. Photo 2: The train from Singapore arrives around 6.30 am. Don’t waste time. Hop into KL Rapid and head out to KLCC Station. This was the scene at 7 am over at SKYBRIDGE Visitor Centre (above). You don’t wish to be disappointed to see this on the display monitor (below)? Although security was tight, I could feel a sense of Malaysian warmth and courtesy, very unlike at Changi International Airport where a hostile look stared into my face especially when I very much loved photography. It appeared that in Singapore we followed everything to the law as well as government policies so much so that the spirit seemed to be missing even in tourism. Tourism Malaysian and PETRONAS must be commended for their efficiency when it comes to queues for ticket purchases. 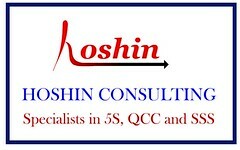 For a good understanding, do go visit and not believe in what I say. 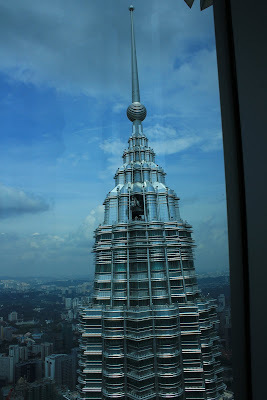 Photo 4: One of the towers of PETRONAS TWIN TOWERS. It was said that the twin towers were built by a Japanese and South Korean contractor who actively competed to see who would finish the building first. A visit up to SKYBRIDEGE and the 86 Level can be one form of “cheekek” but for me I also took to the skies on a prop-driven aircraft from Lapangan Terbang Subang. Flying just under 2,000 feet, we came close to the PETRONAS TWIN TOWERS. This joy-ride would be my second after an earlier one which was made out of Paya Lebar Airport in 1962. Cost? RM500. 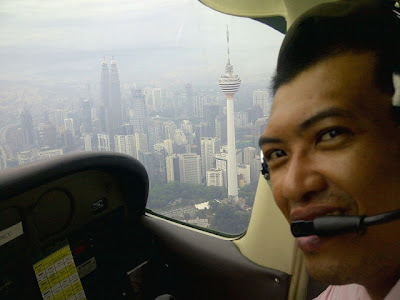 Photo 5: Pilot Aziz brought the Cessna close to Menara KL (foreground) and later the PETRONAS TWIN TOWERS. When it’s time to move on, you could make your girlfriend or your nagging wife happy by allowing her to shop “till I can drop dead” at the KLCC Shopping Mall. Thank goodness I am over with those issues. My next stop? Hop on another metro train to somewhere. Photo 1: SQ stewardess serving passengers with re-heated meals. June is a special month in Singapore. This is the time for the school-breaks and parents would have planned to take their families for that one holiday destination; for shopping or for relaxation. There are others who prefer to join boot camps organized by religious bodies as in Chun See’ case, whom I was informed, had been consistently active in the last two decades. 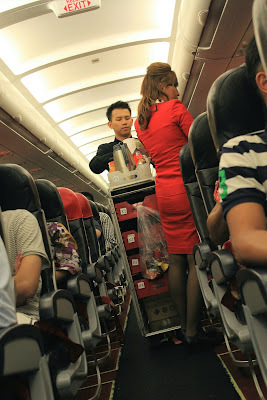 Photo 2: AirAsia stewardess pushing her trolley of drinks down the aisle but you have to pay for coke and mineral water. Coincidentally this June 2011 is “extra special” because KTM Bhd will terminate its KL-S’pore train services at Tanjong Pagar Station come July 1. I thought it smart to “beat the crowd” by going on the last train ride early and what a pleasant surprise awaited me. You see, most of us are traumatized by train rides and KTM is of no exception. With a Singapore wife who prefers to travel in style, gastronomic food and good hygiene, train rides simply is never one of the options. 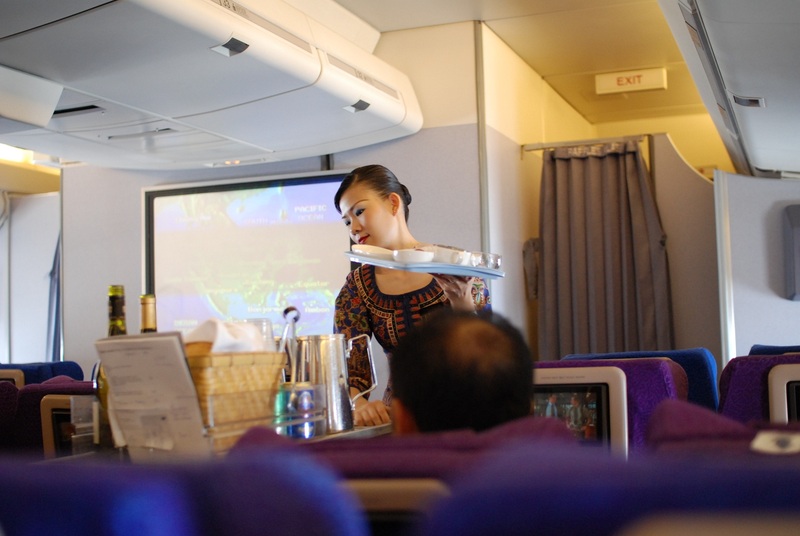 Photo 3: Stewardess pushing a trolley passing the second-class beds. She is serving MILO in Styrofoam cups. I thought I had seen that MILO logo before until I realised MYLOW was coined referring to Mr. Low Thia Kiang, MP for Aljuneid GRC during the Singapore 2011 General Elections. To the best of my recollection, excellent service can be found on air-planes and that only with certain airlines. On this train ride, I was awakened by these familiar words, “Kopi, Teh or MILO” spoken by an English-speaking stewardess. Her name is Miss Tuti. I have made comparisons of the KTM cabin service with those provided by some Asian airlines. Does it look familiar and unusual at the same time? Photo 4: These visitors from India did think it very unusual for this high-level of customer service, something very uncommon on India State Railways. They are told that tosai is a special order otherwise they have to settle for that box of Nasi Lemak. Let’s check out the buffet coach. In the past, KTM did not offer the full in-house dining experience. It was the usual tea tarik or kopi-susu in Styrofoam cups and even then it was not “panas”. The sandwiches were very much left to be desired. Today the standard of dining and cooking has improved. MALAYSIA BOLEH LAH! Photo 5: It is 4am in the morning. 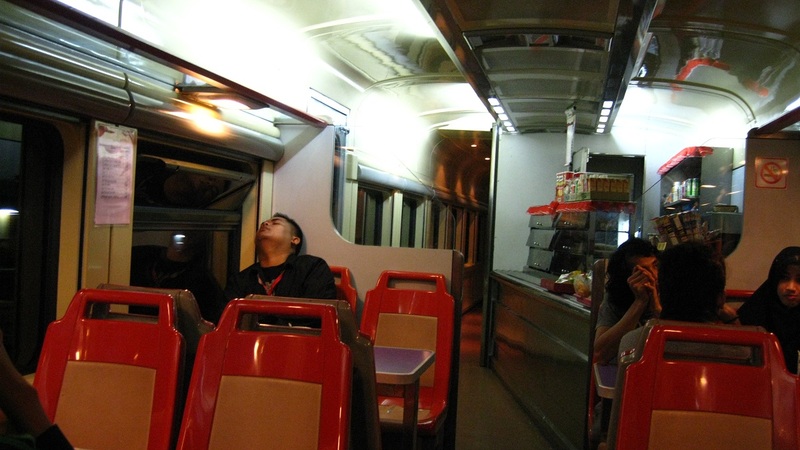 The warm lights and powerful air-conditioner adds a touch of class not seen for many years on the KTM buffet coach. The tables are cleaned each time a customer departs. Whilst a group of ladies chat, there is a customer who needed a quick snooze. The kitchen is at the far end on the right. Being the June holiday and “Salamat Jalan KTM” farewell, I shall be coming up with my PETRONAS Twin Tower experience; inside the tower and from the air. 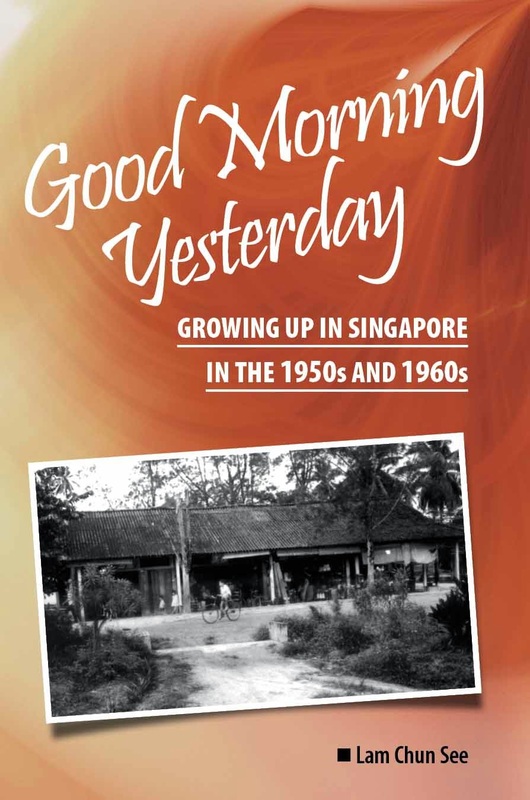 There is also the cross-border Malaysian-Thailand experience and my personal discovery of an important 1931 photo of the Tanjong Pagar Station. I was taking an evening walk around my neighbourhood when I saw something quite interesting. A car stopped not far from me beside a maid walking a toddler. The kid went into the car, it drove off and the maid waved goodbye. A few houses down the road, the car into the driveway of their house. It reminded me of those times when my kids were young, and they - my son especially - too liked to do that. Last Sunday I read a very meaningful article in Today on Sunday on the topic of Father-son relationship. Titled, A Love Measured in Memories, it was written by Jason Wong as part of the Dads for Life Movement. He tried to recall scenes of moments he had spent with his dad. I really like this saying which he quoted; “If you want to be in your children’s memories tomorrow, you have to be in their lives today”. I would encourage all parents; especially fathers of young children to read this article. I am also reminded of something I saw at the Gunung Ledang Resort, also last Sunday. I was on a visit to Tangkak and decided to check out the nearby Gunung Ledang (formerly Mount Ophir) Resort. The owner told us that they had a group consisting mainly father-and-son teams from ACS (Anglo-Chinese Primary School). As part of the activity, father and son had to camp outdoors on the first night. How meaningful. In this blog, I and my fellow guest bloggers have shared with you many of our special ‘father moments’ with our dads. But here’s one that I had been too embarrassed to tell you about. The year was 1959. 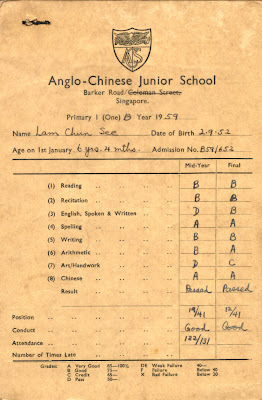 My father wanted to enroll me in Anglo-Chinese Junior School in Barker Road. We were in the principal’s office and he (maybe she) wanted to test my vocabulary of English words. Would you believe I couldn’t even say chicken and duck in English, and in the end I answered in Cantonese - kai, arp ….. My father must have felt terribly embarrassed. Ahem ..… I should direct your attention to Row 3 of my report card. It’s been only slightly more than ten years, and my children do not remember their car-hopping thing. But one thing they do remember is how we used to play shadow games outside our neighbour’s house. Our neighbour’s corner terrace has a huge white wall, and it is just next to a lamp post. Sometimes, after dinner I would take the kids for a stroll and we would stop by this wall and make animal shadows with our hands. One game my children remember fondly is that I would pretend to hammer their head; and on the wall it would look as if with each blow of my fist on my daughter’s head, she would be hammered lower into the ground. Hope you get the picture. Below is a photo taken with my first digital camera. The brand was Epson but I cannot remember the model name. I think the year was 2000. 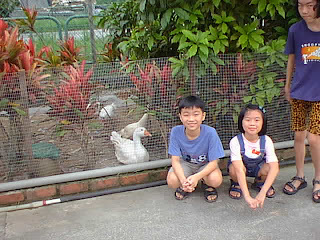 It was taken at a fish farm called Hausman at Neo Tiew Crescent. And here’s a song all fathers of young children should listen to.